Hak8or writes regarding his experiences with pic32prog, a flash programming utility for Microchip PIC32 microcontrollers. 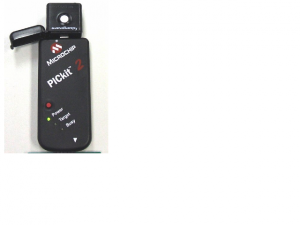 For everyone who is still stuck with a PICKIT2, like me, instead of buying a pickit3 we can all use this with a PICKIT2 to program the more high end PIC32’s. I am not exactly sure at the current state of this, but it seems to be still actively developed, latest update was this year. For more information on this open source project visit the pic32prog’s Google code project page. This entry was posted on Monday, January 16th, 2012 at 12:01 am	and is filed under open source, PIC, programmers. You can follow any responses to this entry through the RSS 2.0 feed. You can skip to the end and leave a response. Pinging is currently not allowed. I believe the standard PICKit2 Windows software can program (but not debug) PIC32s as well. At least this was true a couple of years ago before I upgraded to the PICKit3, but support may be limited as newer PIC32s have come out. The PK2DeviceFile.dat may have to be modified, however. See for example this Forum topic. Dredged from the thread linked above..
Woops, sorry, I did not read the thread all the way. This is so awesome! I too found the pic32prog google code repository, recently. The mpsse (half) implementation I found interesting, I wasn’t aware of those FT chips. It also has interfaces for USB bootloader. Typical I had this open else where. at the very last is something i read before my nap and didn’t recall at all..
Be aware that the current Pickit2 V2.61 stand alone program can only do the pic32mx320 to 460 chips. Turns out this statement was very wrong in 2010 and was still very wrong in 2011 as Microchip have continued to issue updated device files, the last update being in November 2011. Anyone have any idea how to build pic32prog on a windows 7 system? I am not really familiar with all this, so I have failed so far. I downloaded the source from google code, and found a compile.bat file. Running that in command prompt did not really work, I realized that I needed to install mingw to either C:/mingw or D:/mingw. libusb-win32 -c -o pic32prog.o pic32prog.c, …) failed. The actual termination seems to be a missing header, if I read that correctly. Can you check if that exact file exists and if it exists at that exact path/dir? Maybe you’re missing an include path or something has been renamed. If that’s an autogenerated header (yech), you may have to build that part first. Actually, IOKit sounds like a NeXT name, so maybe that’s a MacOS header set you’re missing. I missed this, did you solve it? at the top of the make-mingw there is CC= for both gcc and the long version. The other issues might be the usb lib,if it doesn’t find them put them in the base directory is easiest. there are some issues using the MXx20 They have a smaller boot area ect, it will try to write the device config in the wrong spots. I stopped trying with getting this to work a while ago though, I ended up just sticking with some high end DISPIC33’s and PIC24’s in the meantime. I need to get a pickit3 anyways so I can debug them, so eventually I won’t need to fiddle around to get it working. 1) It works on Windows (via hid.dll, no driver needed). 2) New pic32mx1/mx2 family is fully supported. 3) PICkit3 is supported. The adapter should have a scripting firmware: use PICkit 3 Scripting Tool to upgrade. Thank-you for this. I have just downloaded it and it worked for me first go. So, did anyone work out how to compile the source code under windows and can provide meaningful directions? OK! After much stuffing around I got the latest version (r96) to compile with windows. The trick was to edit compile.bat to use the cygwin make file.